The HMD Global is very focused and determined about firmware updates on Nokia devices regularly. Their update track record is good so far than any other budget Android smartphone OEMs. Another major reason to provide latest and frequent update is that most of the Nokia devices come with Android One program. After the update of Nokia 6.1 Plus and Nokia 7.1 Plus, the company has provided Android Pie Nokia 8, Nokia 5.1 and Nokia 5.1 Plus devices recently. Now it’s time for the Nokia 5 handset as well. Nokia finally rolling out Android 9.0 Pie Stable update for Nokia 5 model. Which you can download and install manually on your Nokia 5 as well. 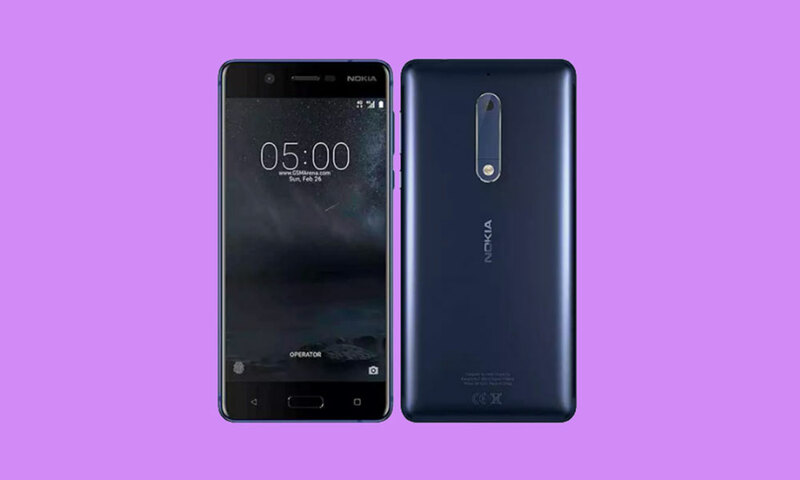 So, follow the guide on How to Install Android Pie OTA on Nokia 5 Manually. The Android One program ensures the latest and fastest major Android version updates up to two years. While it also ensures the latest Android Security Patch upgrade up to three years frequently. That’s really a big thing for any budget or mid-range Android segment. HMD Global and Nokia are very consistent with updates, system improvements, and bug fixes as well. The new Android 9 Pie version brings so many system improvements and features to the core. Such as Digital Wellbeing, Swipe Gesture Navigation, Recent UI, New Notification Panel, Volume Slider, App Slices, Adaptive Battery and Brightness etc. The new Android Pie update for Nokia 5 device brings the January 2019 Security Patch with the build number V6.12E and more. If you’re using Android Pie Beta on your Nokia 5 already, then you can sideload the Android 9 Pie Stable OTA without losing your data. Otherwise, you can install Android Pie OTA updates simply if you’re using the Android Oreo Stable version. Follow the mentioned guide to download and install Android Pie OTA on Nokia 5. This method will work only on Nokia 5 (TA-1053) variants. Don’t try to flash this ROM on any other variant. thedroidguru site won’t be responsible for any error or damage occurs to your device(s). Follow the steps properly. You need to know what you’re doing. Do it at your own risk. Keep your device battery charged up to 50%-60% at least for safer side. It may clear your device and system data. So it’s recommended to take a complete backup of your phone before doing anything. That’s important! Download the OTA (.zip) file from above link and save it on your device. Place it to the root directory of internal storage on your Nokia 5. Open Phone App or dialer app and dial *#*#874#*#* to start the update process automatically. Wait for the update to finish and restart your device when prompted. Now copy the previously downloaded ROM to a folder where adb installed on your PC. Now Switch Off your phone and boot it into Recovery mode. Now Connect your phone to the PC/Laptop. On the installed adb folder press shift+right click and click on open command here option. Now wait for the complete flashing process and then reboot your phone. Hope this brief guide will help you to update your Nokia 5 into Android Pie. If you have any queries, comment down below.